Deborah C.M. Rubin is a sculptor, painter and pen and ink artist originally from New York State. 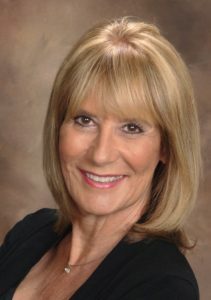 Deborah is an business and executive coach, and attorney mediator and devotes all her free time to her art. Beginning as a self-taught artist in two-dimensional mediums, Deborah recently discovered her natural facility for clay and sculpture. She now focuses her work on figurative and portrait sculpture. Deborah had immediate success attracting private collectors, works on commission pieces and has had her art placed in galleries in California, Las Vegas and New York. In 2016, Deborah’s sculpture, The Goddess, took First Place in sculpture at the Las Vegas International Art Competition, a juried competition with art pieces from 35 states and 11 countries. For three years in a row, in 2014, 2015 and 2016, her work has been accepted to the prestigious juried 118th, 119th and 120th Catherine Lorillard Exhibition of Professional Women Artists at the National Art Club Gallery in New York City. She is an associate member of several artist societies including the National Sculpture Society, the National Association of Women Artists, and American Women Artists. *All artwork depicted on this site is the intellectual property of Deborah C. M. Rubin. Any reproduction or other use of the images contained on this website without written permission of the artist is expressly prohibited.